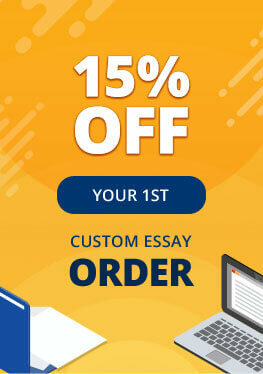 As a student, you have surely got an assignment of writing an essay, a reflection paper, a response to some video or book, etc. You are fully aware of what kind of tiring process writing is: it demands much concentration, free time, and creativity. There are different academic papers, and it is much easier to write one paper, whereas it is tiresome to write others. Dissertation writing in particular belongs to one of the most complicated tasks. Besides, it is one of the most decisive papers in your academic life and professional career. Before starting to write a dissertation, you should be aware that this process is time-consuming and should be separated into stages that should be completed one by one. It takes several weeks to conduct the basic research for the thesis, find appropriate sources, and provide methodology chapter. After all these parts have been approved, you can start with the very proves of writing. However, do not think that writing a dissertation is a piece of cake: for some people, it takes a few years to fulfill this daunting challenge. This process of writing is really demanding and it may leave you frustrated. It has negative impact both on your physical and mental health. Just think of it: you usually spend sleepless nights writing the work, sometimes you do not get proper nutrition and enough physical exercises. So, are you ready to sacrifice all this on your dissertation? Or, maybe, should you probably change another option, which will make your life and studying more pleasant? Fill in the necessary form to provide details on which paper you expect to be written. Provide as precise details as it is possible. After you have placed the order, it is verified and the writer is assigned to work on it. After getting the assignment, our writers start collecting materials necessary for writing your dissertation. In case you need any specific resources to be used in the final paper, please inform your writer about it. After the paper has gone through all stages of checking, it can be sent to you via email or you can download it from your personal profile.